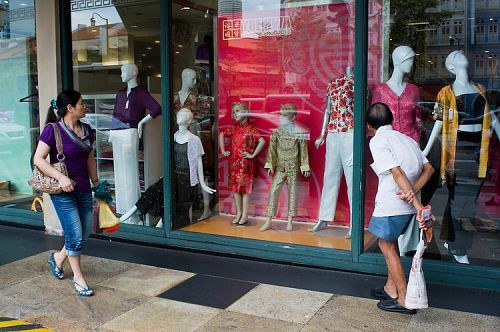 Singaporean chinese are more likely to be a intended shopper rather than a Window shopper. What does this mean or rather what is the difference? BlackBerry has come up with a nice little infographic for this matter. 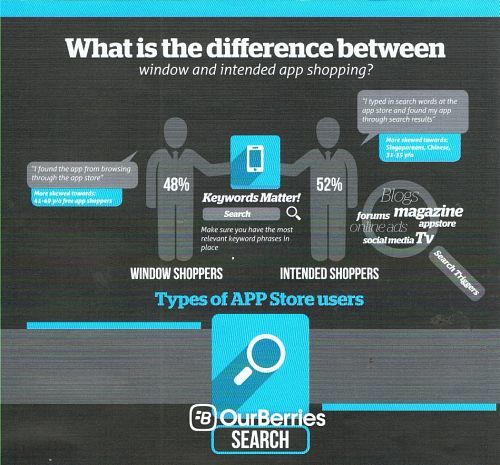 In short, a window shopper are those who browses the store and discovers an application before downloading it. It is mainly 41-49 year old users, and free downloads make the main bulk of them. Intended shopper on the other hand, are users who have in mind what kind of features they are looking for in the application and would search and go straight to the application. Singaporeans and chinese, especially those aged 31-55 years old make up the bulk of it. This now highlights the importance of keywords, especially with 52% of the users making up the intended user list. Keywords, how are they triggered? Well, Blogs, forums, magazines, TV, social media as well as advertisements would help to trigger these in the users.